Veterans Cross - Roger's Last Stand. 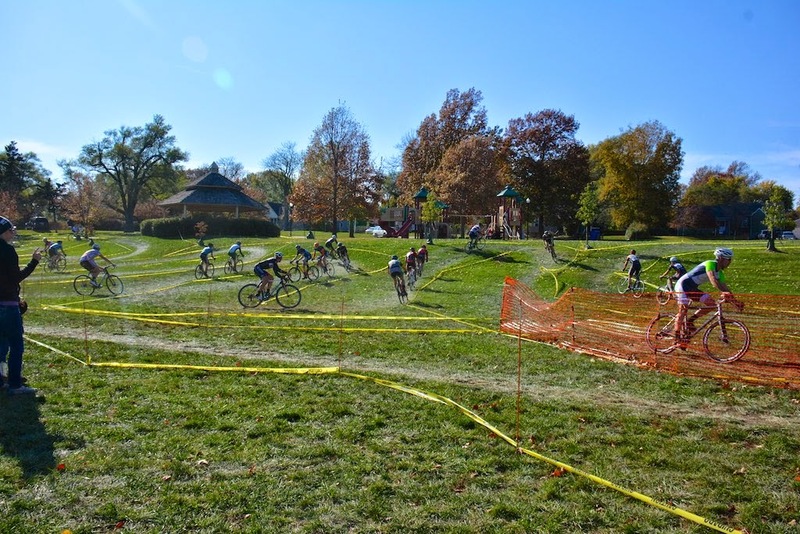 The 2014 Veterans Cyclocross race was held this past weekend. New venue this year outside of the Veterans VA Medical Center. An interesting place with many historic buildings. The Lantern Rouge cycling team and Big D Cycling promoted the event and provided a nice cyclocross atmosphere. Plenty of food, beer and music. Those bratwurst were very tasty. Combined with an ice ice cold beer provided the perfect post race meal. The Veterans Cross was the final round of the popular Kansas Best Overall Rider Competition. The masters fields were stacked with talent. These guys are old but have not slowed down at all. How many protests were filed on this day? With all the food available the USAC officials were busy eating but did a great job as always to get quick accurate results. Will this be the last time we see this van at an event? Word on the street is that the Lantern Rouge will be teaming up with the man below to promote a 3 hour Mountain Bike event. The one and only Gerard Arantowicz of Jewel Cartoons was on hand racing. Gerard did good taking a 4th place in the Men's Cat 5 event on a mountain bike. Gerard and all the Veterans got a special blanket from Roger Harrison. The Cow Town Cycling Team took home 3rd place overall in the KBCXT Masters competition. Damian Almanza and several other riders were involved in a first turn crash. Damian spent the rest of the morning chasing down the leaders. 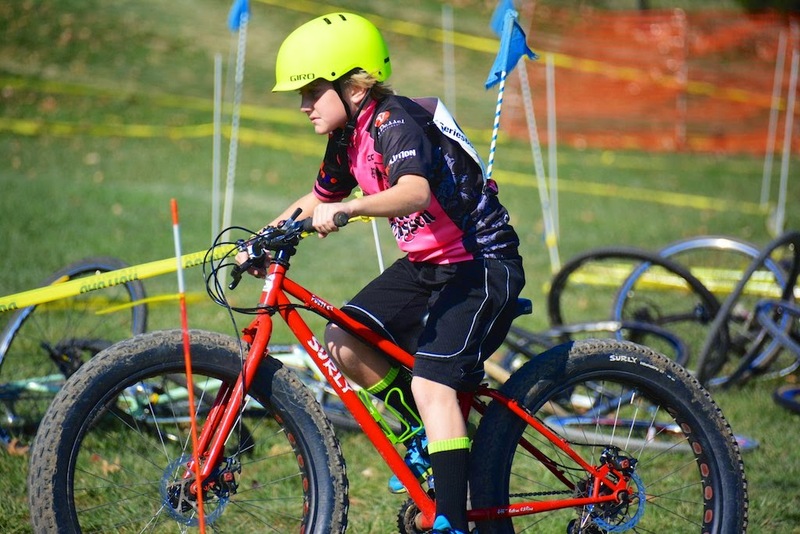 360's James Shiflett has had a strong cyclocross season so far placing 3rd overall in the KBCXR series. James demonstrates what may be the best form ever hopping the barriers. The course was very fast on the flat grass sections with some tricky turns.. Cow Town Cycling's David Wathen leads Big D's Paul Fancer and Team Colavita's Craig Steeds through one of the many corners. Doug Stone and Rick Moseley were so far out in front of the Men's 40-49 class that they decided to just run instead of ride. Locke finally won something this year. Roger presented him with a special award for the longest hair. Doug Stone took 2nd place on the day, first in the 40-44 division and most importantly brought home the win the the Masters 40-49 KBCXR. Women's Masters racing has grown a lot the last few years. That is a good thing but we also need to get some new younger women out on course. Roger Harrison divided the Masters into 5 year age-groups. Cow Town Cycling's Chris Locke is presented his 3rd place award in the 45-49 division. 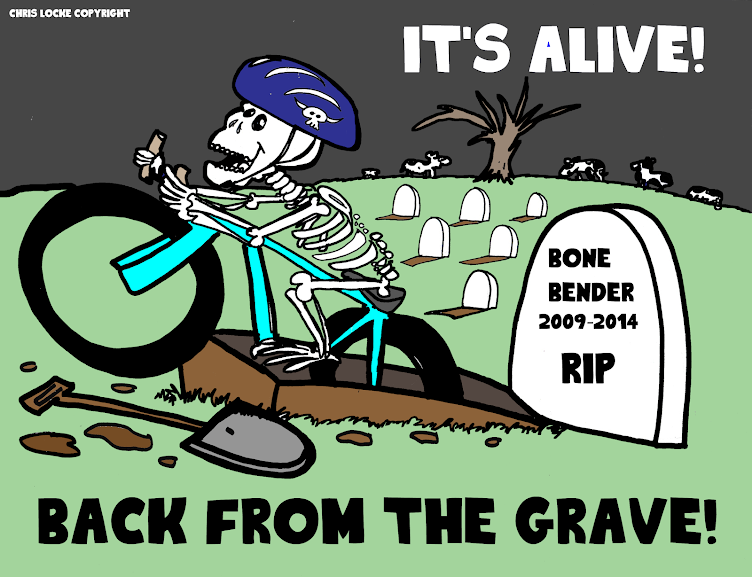 Look for Locke to move into the 50+ class next year in cyclocross. Brendan Sheehan navigates the only mud section of the course. The Cat 4 Men's class in action. Christopher Locke gets off to a quick start on a single speed. Doug Stone raises a glass to Mr. Harrison and the Big D cycling team for a job well done. Near perfect weather for cyclocross this past weekend as two popular events head to an even more popular venue. Herman Laird Park hosted two of its planned four events with the Colavita Cup on Saturday and the Boulevard Cup on Sunday. Same course for both days with a direction change on Sunday. Both courses featured pavement, gravel, small elevation, rough grass sections, a short tour of the Shawnee Town Museum and hundreds of turns. Also, both events featured indoor registration and facilities plus plenty of food, beverages and music. Our own Doug Stone had a breakout weekend and emerged with victories on both days in the very competitive Masters 40+ field. 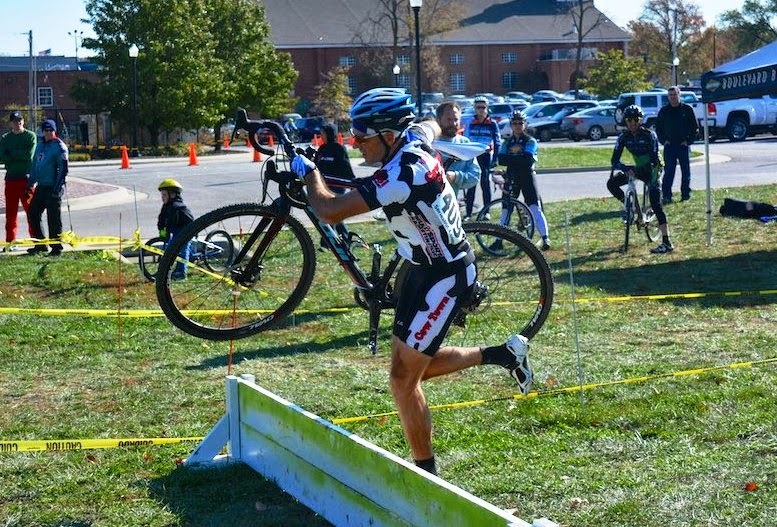 Doug continues his strong season and enters Sunday's Veterans Cycle Cross event with a chance to wrap up the 2014 Kansas Best Cyclocross Rider championship.